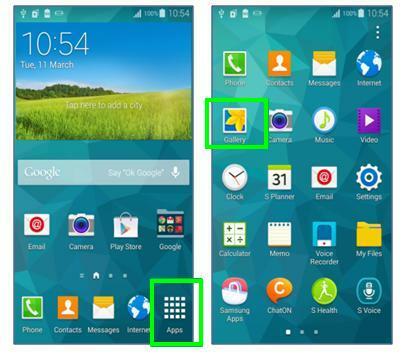 How do I make my files private when using Private mode on my Samsung Galaxy S5? 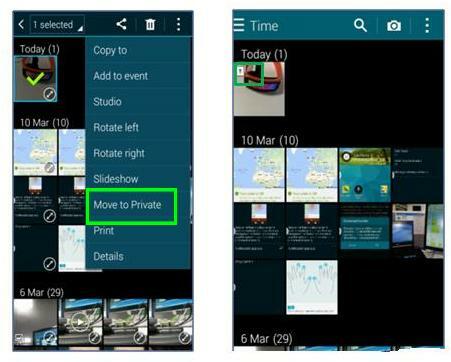 The example below shows how to make photos in your Gallery app private. 1. 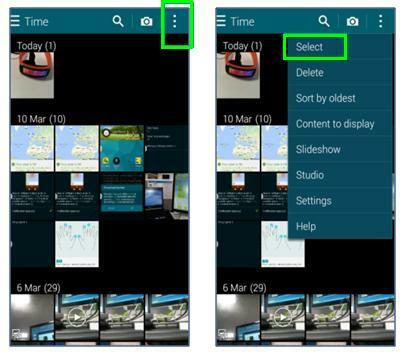 From the Home screen tap Apps and then tap Gallery (you may need to swipe left or right first to locate it). 2. Tap on the Menu icon in the top-right corner and then tap Select. 3. Tap on a picture to select it and then tap the Menu icon again. 4. Tap on Move to Private. The photo will now be hidden when Private mode is not enabled.